This is hanging feeder is suitable for floor-reared birds: Growers, broilers, and layers. It can also be adapted for coupling with an automatic feed dispenser. 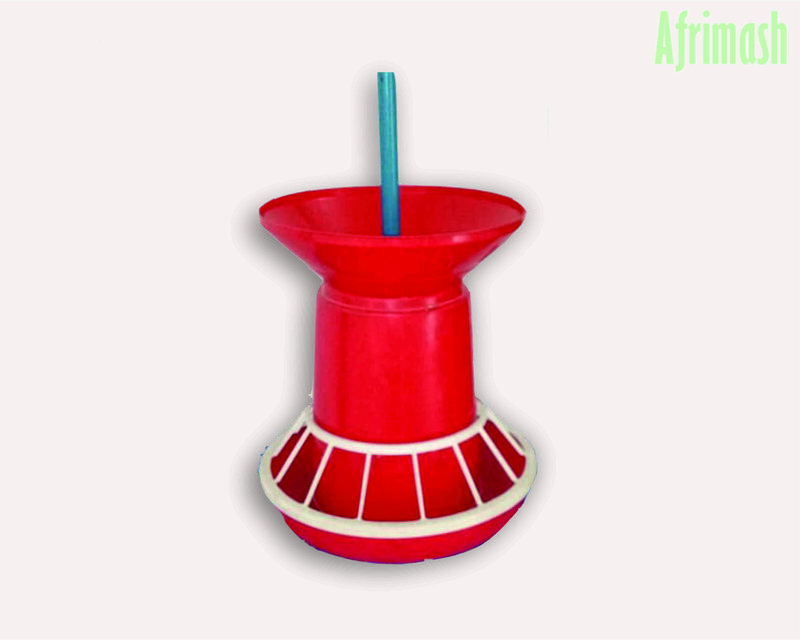 This feeder serves about 14 birds at a time and has a feed carrying capacity of 5-10kg. Its unique bright white and red color makes it attractive to the birds. 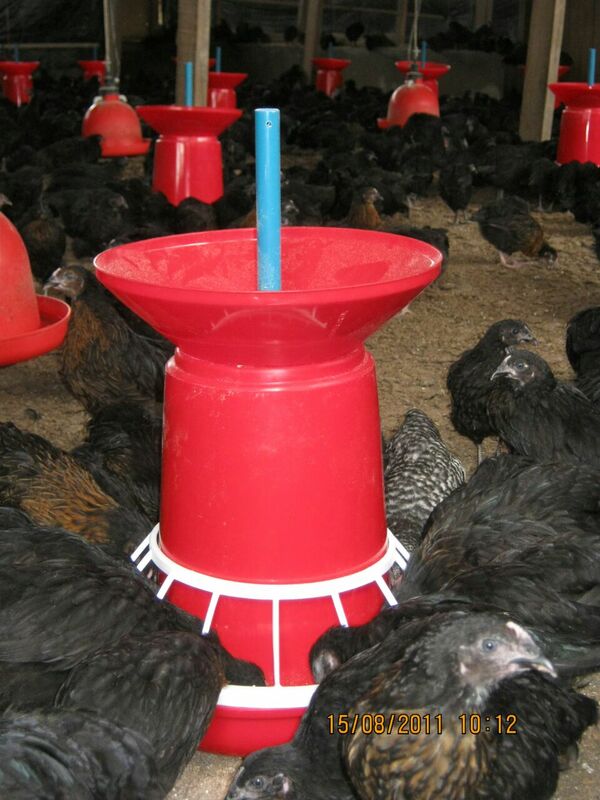 The hanging plastic feeder is ideal for producers running floor-reared and brooding poultry production ventures. 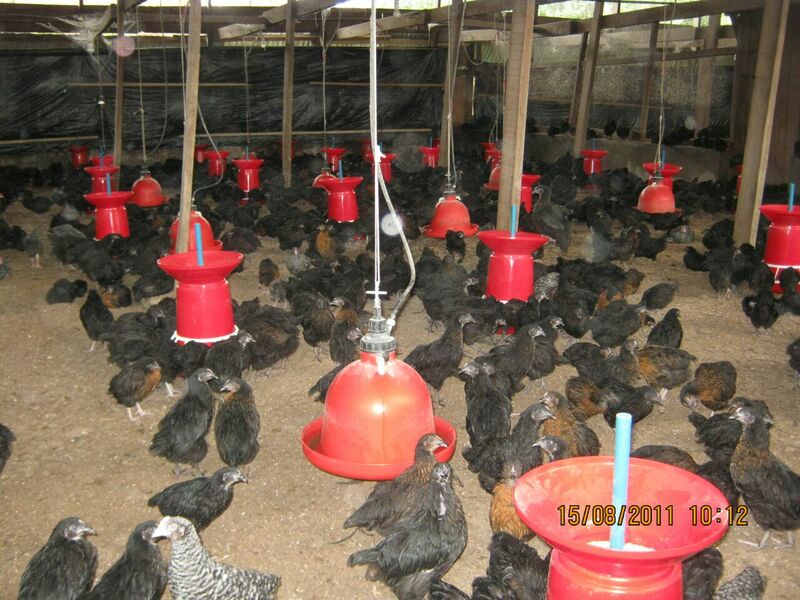 Also, if you are a new poultry farmer or small or medium-sized farm, this product will be of immense benefit to you as you can try out the business without the overhead cost of getting battery cages. It is easy to clean and requires minimal maintenance, unlike wood. 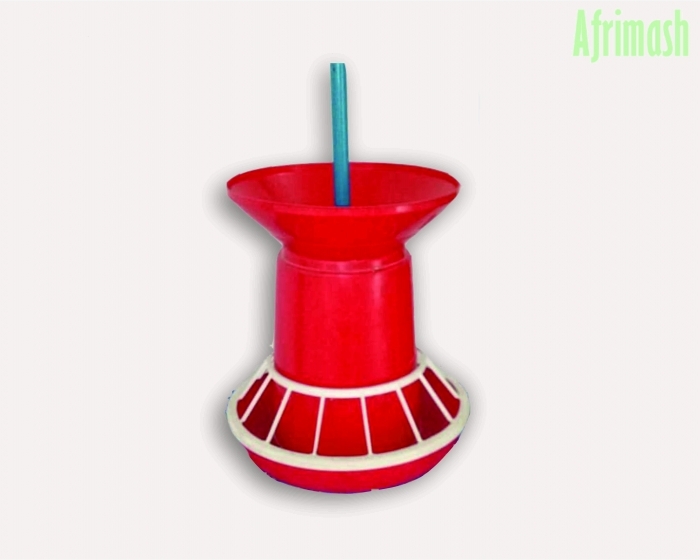 This feeder lasts long and can be washed or recycled. Easy to disassemble, stack and re-assemble. Each unit can also be connected to an automatic feed dispensing system. 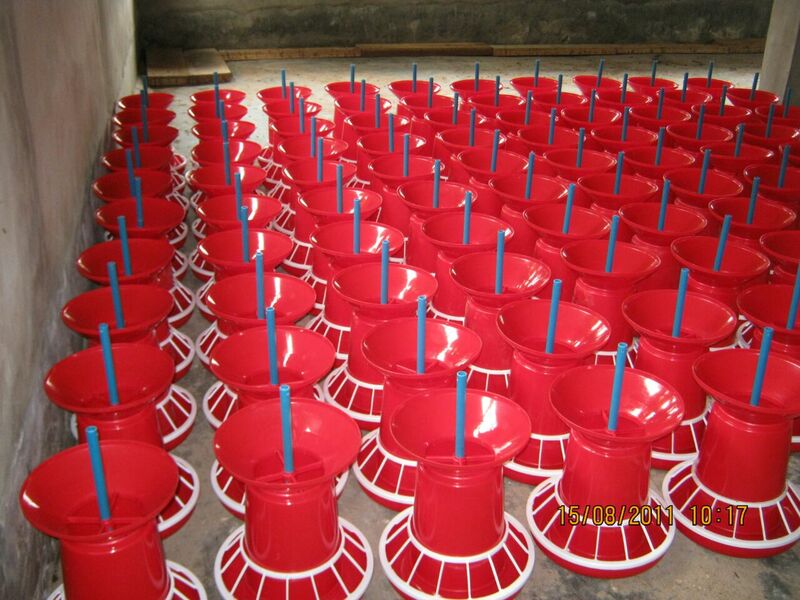 It is made from a high-quality plastic material, thus is resistant to corrosion. The hanging feeders are in excellent working condition. 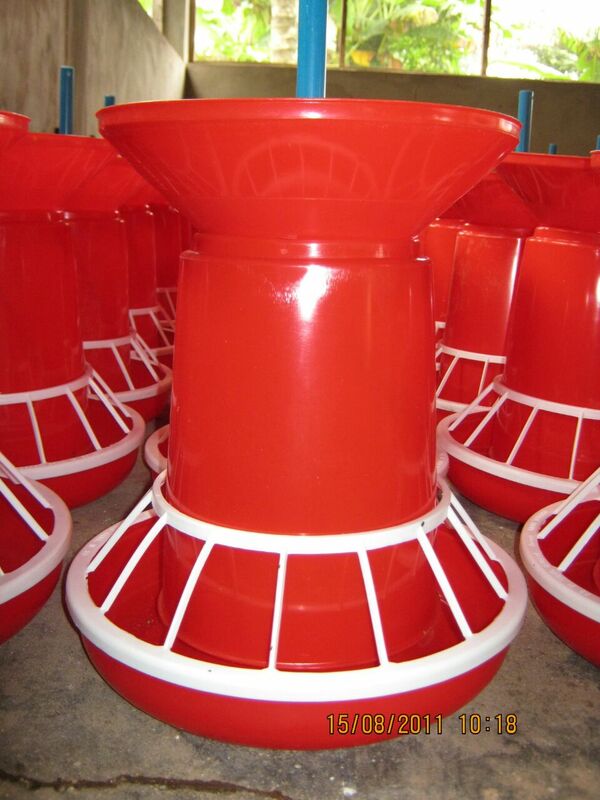 Each feeder has a capacity of 5-10 kg of feed at a time.